Cryptographic ledger company Chain is in the process of being acquired by blockchain technology platform Stellar, reports Julie Muhn at Finovate. Stellar, which is also the creator of the cryptocurrency Lumens, plans to purchase Chain for $500 million paid in Lumens (XLM) according to Fortune. 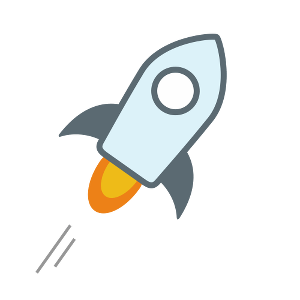 Created by Ripple co-founder Jed McCaleb, Stellar Lumens is the seventh most valuable cryptocurrency. Fortune says the move is an “acqui-hire”– in other words, Stellar is more interested in acquiring Chain’s team of developers rather than its technology. There is no word on Stellar’s plans to maintain or incorporate Chain’s platform or the timeline of the acquisition. Since it was founded in 2014, Chain has raised more than $43 million from investors including Khosla Ventures, RRE Ventures, Nasdaq, Visa, Citi Ventures, and Thrive Capital. Chain’s flagship offering is Sequence, a Ledger-as-a-Service that allows organisations to track and transfer tokenised money. Use cases include storing and moving users’ balances in a mobile wallet; issuing, servicing, and selling loans on a lending platform; and managing end client and driver balances on a ridesharing app.